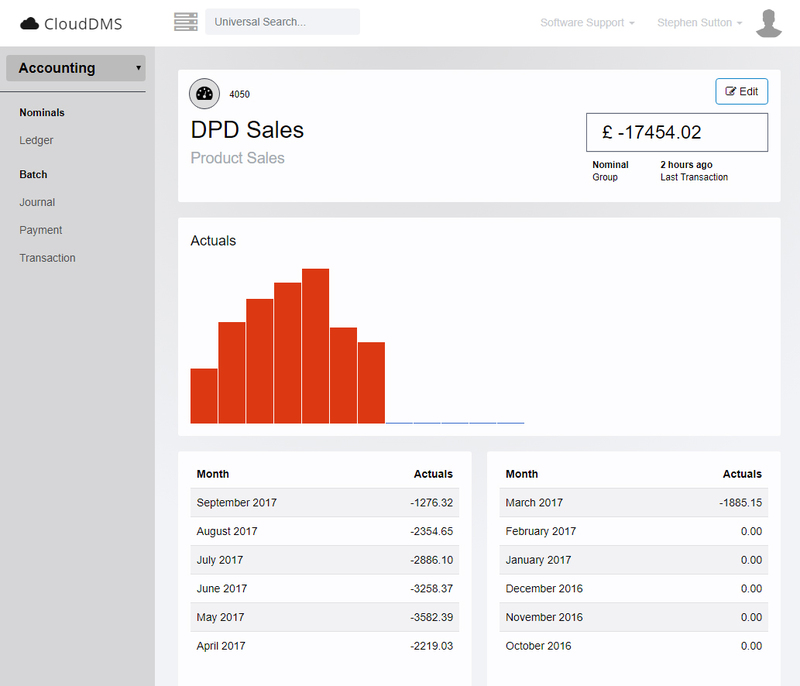 CloudDMS includes a standard chart of account which can be customised to suit your requirements. A double entry nominal ledger is used. Each financial transaction is recorded in two different nominal accounts within the ledger. Sales and Purchase invoices are automaticly posted to the nominal ledger when they are finsihed. 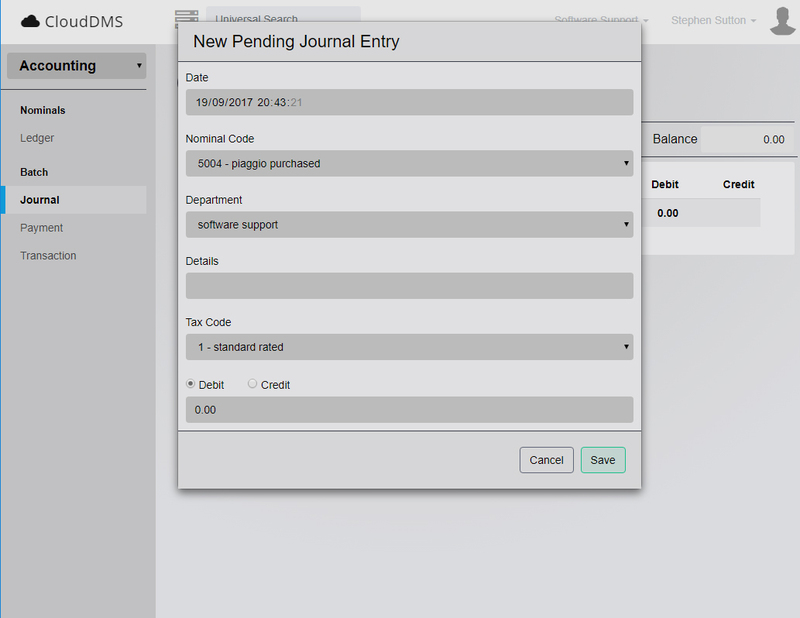 Additional transactions can manually be entered into the nominal ledger using a journal entry process. 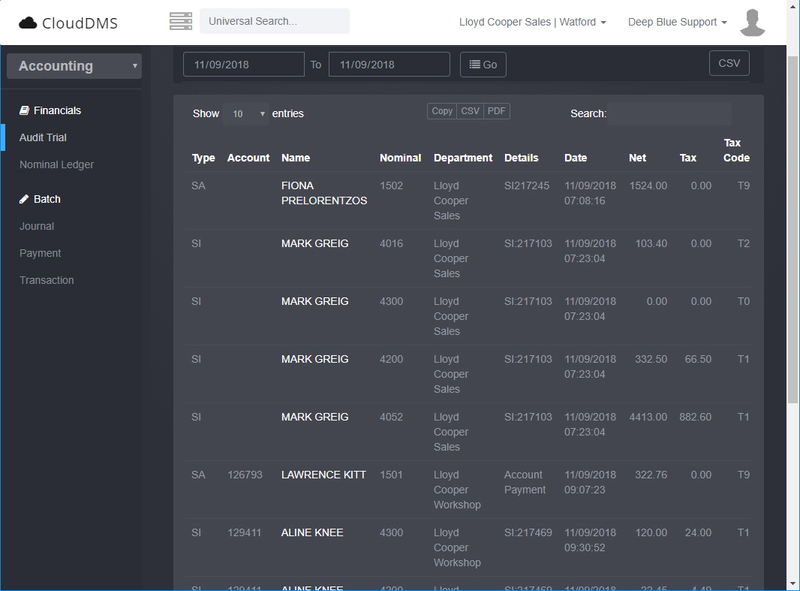 The audit trail chronologically catalogues every transaction which has taken place in the DMS. The trail can be used to authenticate operational actions of the system, ensuring compliance and operational integrity. The audit trail can also be exported as a CSV file for import into 3rd part accounting systems such as Sage Line 50.